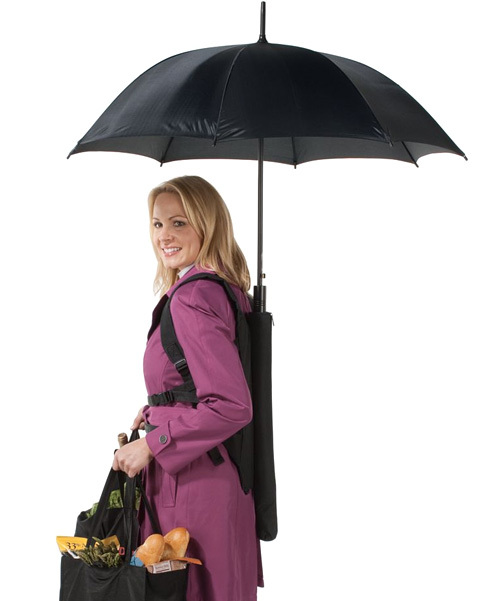 Most importantly though, if my critiques haven’t been convincing enough already, if you use a backpack umbrella you’re going to look exactly like this woman does. That alone should be enough of a reason to stick with a traditional model, or just let you and your groceries get absolutely drenched. But if my prejudice towards supposed hands-free umbrellas hasn’t dissuaded you so far, you can go ahead and order one from Hammacher for $39.95. I promise I won’t judge you.